We finally made it! All of the early morning Saturday runs, double days, surviving the relentless heat this past summer, endless ab and stretching sessions, to go along with all of the aches and pains ... it all comes down to this moment -- the 2018 CIF-Southern Section Cross Country Championships! This is what each team has been striving for all season as they take to the Riverside Championship Course this Saturday morning. While it's been a bumpy ride for some of the top individuals this season, the most talented squads that we reviewed in the preseason have remained steadfast and if anything, improved their status on a national level! State Meet qualifying for individuals: Up to five runners not on qualifying teams who place among the top 20 overall will advance. 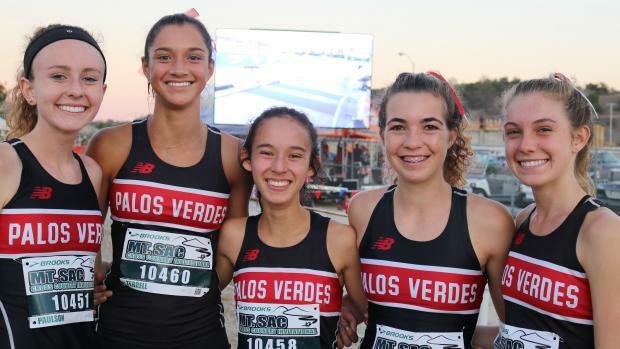 With the Southern Section boasting nearly 600 schools and spread out over five divisions per gender, this is the greatest collection of talent anywhere in the United States (aside from the California State Meet). The early morning conditions are expected to be perfect as the temperatures will range from to low-to-high 60's throughout. Great Oak has been one of the nation's best teams all season. Junior Tori Gaitan leads a quartet that has been unmatched all season, including defending Division I champion, Fatima Cortes, who signed with Cal this week. Arianna Griffiths and Audrey Dang round out the Wolfpack's top four, while Aubrey Nex and Brianna Weidler will work to stay close to those four in a battle as the fifth scorer. Great Oak is seeking its seventh straight divisional title and ninth in the past 10 years! Southwestern league foe, Vista Murrieta, have two varsity athletes back for the postseason run and could challenge the Wolfpack. Freshman Devyn Candaele leads the Broncos but their top girl from last year, Paige Haynes, is rounding back into form. (Haynes just signed with Cal Baptist.) The rest of the crew has maintained a tight pack all season, making them one of the best teams in California. VM has been divisional runner-up twice in the last three years. This should be be the 10th straight year that the Broncos qualify for the State Meet. The fight for those last five State Meet spots will be fierce with not much separating the likes of Walnut, Mira Costa, Fountain Valley, Ayala, West Ranch, and Redondo Union. Yep -- that's six squads fighting for five spots! Led by Mikaela Ramirez, who finished 8th here a year ago, Ayala has proven that it belongs and will also fight for that third-place spot. Erin Facenda and Shaina Berk have been consistent scorers for the Bulldogs this season. This is their 20th straight season of qualifying for the divisional finals, but with everybody where they should be, this would be their first trip to the State Meet since 2010. The Bay League champs, Mira Costa, looks to advance to state for a fourth straight season and the 10th time in the past 12 seasons. One of the best freshmen in California, Dalia Frias has taken over the top spot for the Mustangs. They will have to hold off fellow Bay League rival, Redondo Union, led by Molly Hastings. With Montgomery Allison not too far behind, the Seahawks have been putting sub-30 second scoring packs for most of the season. Redondo is trying to make it back to state for the first time since 2014. They had a seven-year run there that expanded back to 2008. Fountain Valley impressed at the Sunset Conference finals and are led by seniors Ashley Faller and Sara Feitz. The Barons are looking to advance to state for the first time since 2007 as they impressed with their best effort of the season at last weekend's prelims. Meanwhile, West Ranch is one of the most improved teams in the sections starting with the addition of freshman Alexis Fernandez. Abigail Welch continues to perform at a high level and not too far behind her front-running teammate. Santiago, Burbank, Beckman, San Clemente, and Chaparral are all next in line challenging for a top-seven State Meet, should any of the aforementioned eight powers stumble. San Clemente's Hana Catsimanes is favored to move on as an individual as is Chaparral's Cynthia Martin. Sophomore Jacqueline Duarte of Chino Hills will also be up front and looking to make the State Meet for the second year in a row following her 7th place finish in 2017.
others: Audrey Dang (Great Oak), Alexis Fernandez (West Ranch), Dalia Frias (Mira Costa), Danielle Gee (Yucaipa), Maria Hernandez (Santa Ana), Cynthia Martin (Chaparral), Riley Rodriguez (Upland), Emmi Von Scherr (La Quinta). 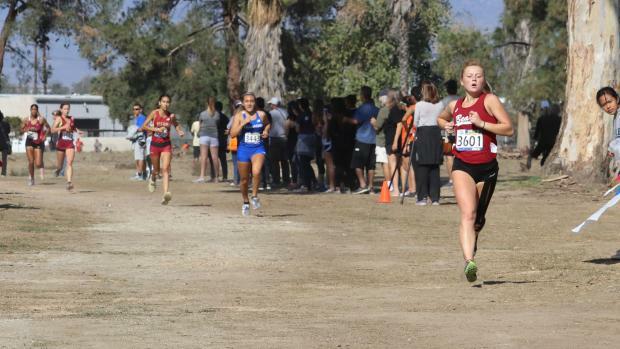 With this division featuring five of the top seven girls squads in the Southern Section, this is the premier race of this year's CIF-SS Finals! As has been the case for years, Division II has proven to be the toughest in comparing the top level competition in the section. Claremont is the heavy favorites and primed to claim their third straight divisional title. Ranked among the top 10 squads in the nation, this will be the Wolfpack's sixth straight trip to the California State Meet. Freshman Maddie Coles has emerged as their frontrunner, while Sydney Hwang, Azalea Segura-Mora and Kalinda Reynolds form a quartet that can perhaps, challenge Great Oak. Julia Marriott and Angie Gushue will fill that fifth scoring slot for a squad that will also look to defend its State championship next week. Who will be the runner-up? That's a great question. The next four teams all projected within 20 points of one another! Mission Viejo, Serrano, Canyon, and Saugus have all interchanged positions this season behind Claremont. Mission Viejo will line up six seniors, led by Kelli Hines. Hines, headed to Yale next year, is a slight favorite for the individual title but will have to hold off a host of underclassmen for that honor. One of the division's most improved, Emma Hicken, has put together a great season while the Diablos welcomed back Ashley Johnson a month ago. Mission Viejo was sixth as a team last year. Serrano has been bolstered by mighty-mite freshman, Tiani Goeson, a 4-foot-9 smooth-striding dynamo who should challenge Hines for the individual title. Maribel Aguilar and Elizabeth Martin have provided solid support while Serrano is one of the few squads that has had the same scoring five all season long. This will be the sixth time in seven seasons that the Diamondbacks have qualified for the California State Meet after placing fourth a year ago. Canyon of Anaheim is also another squad that has been led by a freshman. Emma Hadley has been superb this season, transferring that club-level success to the California prep scene. Sarah Paino has gone along for the ride and is quietly one of the most improved in the division while Isabella Frisone, also a freshman, has been in their top three this season along with Ashling Carr. This should be the fourth straight season that the Comanches have qualified for the State Meet (they placed fifth last fall). The most successful girls team in the Southern Section over the past 15 seasons is none other than Saugus! Do not be surprised to see them rise to the top of this second tier of teams as this will be their 14th straight season of making their way up to Fresno! Jacqueline Cascione and Julia Pearson have been solid forces up front while they have added an extra weapon in freshman Brooklyn Bendrat over this last month. No squad runs better when it counts most as in 10 of the past 12 seasons, Saugus has finished first or second place! Moving to Division II after finishing fifth in Division I a year ago, El Toro would love to upset the balance of power and surprise to finish in the top five. Alexis Neuville has stepped it up the past several weeks while freshman Kasey Lynd and Grace Griffin have led a tight sub-30 second scoring pack. The Chargers are not too far off from the front-running five powerhouses than most would think. A true battle will ensue for that last spot to the California State Meet! The trio of Capistrano Valley, Westlake, and Newbury Park should come down to which squad's fifth scorer crosses first. Capo Valley is trying to extend its streak of State Meet bids to seven seasons. Junior Carly Corsinita is one of Orange County's best while Samantha Fulkerson is back from a one month layoff to occupy that second spot. This gives the Cougars an edge with this group. Meanwhile, Newbury Park features the 1-2 combo of Archana Mohandas and Fiona Hawkins and will lean heavily on their fifth scorer. Westlake features Rebecca Schultz up front but Haley Golman has jumped in to make a huge impact for the Warriors. Westlake is looking to qualify for the first time since 2005.
others: Maribel Aguilar (Serrano), Brooklyn Bendrat (Saugus), Morgan Calcagnie (Mission Viejo), Jacqueline Cascione (Saugus), Fiona Hawkins (Newbury Park), Alexis Neuville (El Toro), Sarah Paino (Canyon, Anaheim), Kalinda Reynolds (Claremont), Rebecca Schultz (Westlake). Palos Verdes will look to put away the memories of last year's finals where several scorers fell as the pack merged through the first turn. With that, the Sea Kings have been the favorites all season long. Savannah Scriven returned back to the team to help secure that top spot while Samantha Steman has been patiently brought along after a late start to the season. As four scorers took last weekend off, McKenna Paulson and Claire Hardesty have provided consistent support for the Bay League runner-up. This will be the 12th consecutive season they qualify to the California State Meet as they seek their sixth title in the past nine seasons! Laguna Hills is the defending champions. Although staying off the grid for most of the season, the Hawks are right back up top to defend their title. Claire Selleck and Lauren Turner have been the catalysts up front this season for the Sea View League runners-up. Susana Garcia has shown solid improvement. This should be their third straight season of advancing to Fresno, and fifth in the last seven seasons. The battle for the next three spots falls to Moorpark, Brea Olinda, and Oak Park. Moorpark, the Coast Canyon League champs, has been led by Nevaeh Walla and Kelly Wade. After taking eighth place a year ago by only five points, the Musketeers are looking for some redemption. This would be their fourth trip in the five seasons to the State Meet. Also hailing from the Coast Canyon League, Oak Park is led by one of the best in California in Sarah Shulze. Isabelle Tamaddon and Analise Vidiezca have provided solid support. Third place a year ago, this should be their fourth straight trip to State and sixth in the past seven seasons. Brea Olinda returned everybody back from their 11th place squad from a year ago and have added extra support. Mia Douge and Whitney Valenti have been a great 1-2 punch for Wildcats this season while freshmen Kendra Painter has been a nice addition. This would be their second time qualifying earning a State Meet berth in the past 12 seasons and first since 2015. Santa Margarita, Bonita, Yorba Linda, and Corona del Mar will battle for those last two State Meet spots. Santa Margarita's trio of Kendell Saeger, Sophie Getz, and give them a leg up after three scorers. Bonita is led by Loralei Claxton and Corona del Mar, led by Annabelle Boudreau, have more depth in those fourth and fifth scoring slots. 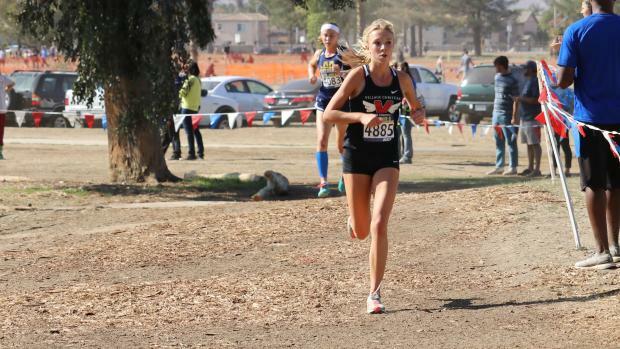 Meanwhile, Yorba Linda is a wildcard of sorts as they are led by Siena Palicke. They are seeking their first State Meet berth. Santa Margarita is trying to make their way for the first time since 2012 while Bonita made the trip last in 2015. Corona del Mar is trying to keep extend their State Meet streak as they have qualified the past four seasons and were fifth a year ago. No girls team in the Southern Section has qualified for more in the 31 years of the California State Meet than the Sea Kings! 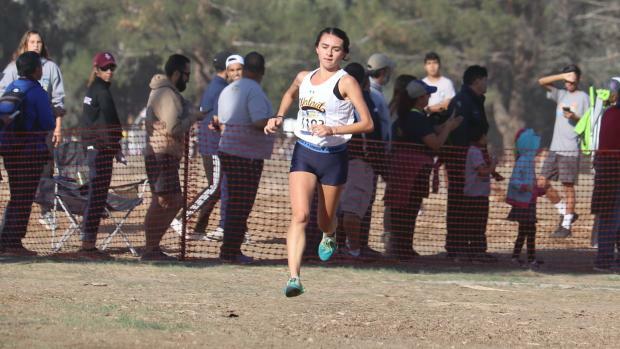 Georgia McCorkle's Agoura squad and West Torrance, led by Megan Gonzalez, are currently on the outside looking in, but have every intention on overriding the projections and breaking into the top seven. others: Loralei Claxton (Bonita), Mia Douge (Brea Olinda), Hannah Dumaine (Esperanza), Sophie Getz (Santa Margarita), Megan Gonzalez (West Torrance), Melanie Mach (Rosemead), Alayna Peters (Monrovia), Nevaeh Walla (Moorpark). The top squads in Division IV are much stronger than in Division III once again. Defending champions, Foothill Technology are the favorites as they will also look to defend their State Championship next weekend. Brooke Secreto has emerged as the Dragon's top runner this past month while Lauren Kearney, Hana Vrablik and Hannah Dearman-So have been in those top four scoring slots all season. Kennedy Gomez and Blythe Blakeman bring last year's state championship experience onto the line this weekend as well. El Segundo has risen up the ranks to be one of the top 20 squads in the Southern Section. James Matlosz and Gabriella Lee have been up front for the Eagles and with the emergence of a strong fifth scorer, they have positioned themselves closer to Foothill Tech than anticipated in the preseason. This will be the third season in a row that El Segundo qualifies for the California State Meet as they were third a year ago. Harvard/Westlake, Bishop Amat, and Laguna Beach will battle for that third place spot. Harvard/Westlake features the best 1-2 combo in the division in sisters, Natalia and Daniella Quintero. Both are slated to challenge for the individual title and will give the Wolverines a huge head start in the team scoring. This should be their eighth time in 10 seasons of qualifying for the California State Meet. Bishop Amat is led by Olivia Paez and Morgan Rust. As Paez is looking for a top ten finish for the third straight season, freshman Janelle Santos emerged as a major factor which elevated their status going into the postseason. The Lancers have finished in the top four the past four seasons and looking to make it a fifth straight time. Hannah Konkel and Jessie Rose lead the Breakers of Laguna Beach. 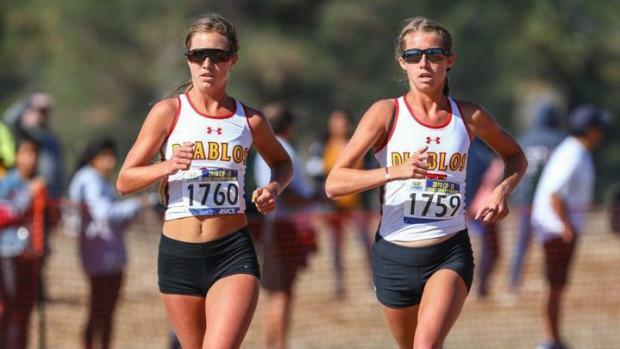 As they captured the Sunset Conference (Wave Division), they are seeking their fourth trip in the past six seasons to the California State Meet. Of the three, Laguna Beach features more depth in those crucial fourth and fifth scoring slots and is a slight favorite for third. Fighting for the last two spots for the trip to Fresno, JSerra, Mayfield and South Pasadena are next in line. JSerra is headlined by Nadia Tabrizi who looks to finish in the top ten for the third season in a row. while her squad is seeking a 12th straight trip to the California State Meet. Meanwhile, Mayfield's Audrey Suarez has emerged from a mid-season injury to jump back into one of the favorites for the individual crown after taking second place in 2017. She will need as much support as possible for her crew to make it back to the state meet for the fourth year in a row. South Pasadena has successfully adjusted to the move to a tougher Division IV. Freshmen Sydney Morrow and Mai Koyama have stepped up to lead the much improved Tigers. Hoping to upset the balance of powers, Big Bear is led by Kaia Hoak but will need their best effort of the season if they hope to jump into one of those seven qualifying spots. La Canada also poses a threat with one of the top trio's in the division, led by Ellaney Matarese. 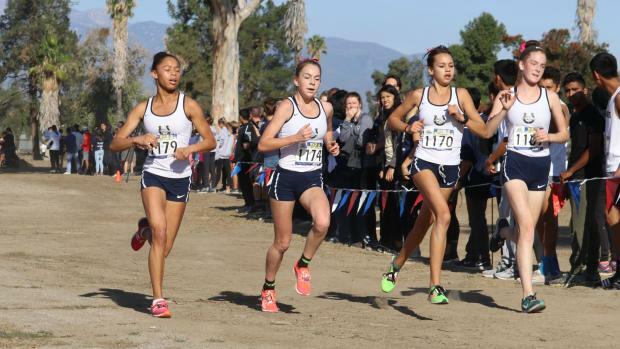 St. Margaret's and Flintridge Prep will lock up in what will be the most contested team title battle for the girls! 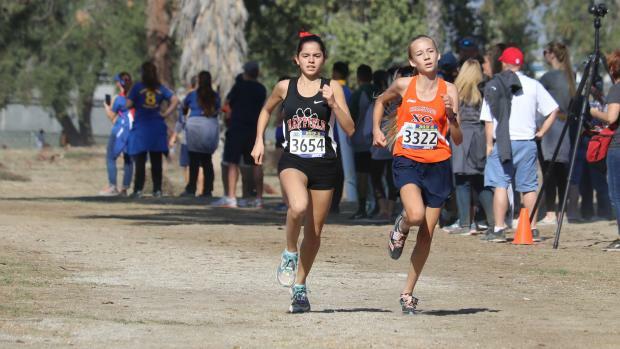 Haley Allen purred along the second half of the course at last week's prelims to lead Flintridge Prep. Allen was eighth as an individual last year. Sisters Sasha and Hope Codiga support Allen as Flintridge Prep seeks their sixth consecutive title! Sasha was fourth overall as an individual a year ago. These three seniors look to keep the streak alive and graduate with four Division V titles! The Prep League champs are also bolstered Liana Morrissey, Nicole Mirzaian and Caroline Wreszin. St. Margaret's put a perfect 15 on the competition at the Academy League Finals and cruised through the prelims. Andi Carnell leads the Tartans as she was third overall at the 2017 Finals. Charlotte Jones and Claire Mullen have been interchangeable while Katherine Collier and Shea Hueston should comprise their scoring five. St. Margaret's was runner-up last year but would love to switch roles in 2018. In what projects to be quite a ways behind those two favorites, Thacher is slated for that third place slot. This will be their eighth trip to the California State Meet in the past nine years as they were fourth at last year's finals. Barkley Bennett and Lily Harding thrive up front for the Toads. Caroline DelVecchio was the top girl at last week's prelims while Karina Anderson and Reyna Kleemeier look to finalize the scoring and ensure a trip up to Fresno. Mammoth has been one of the most improved programs over the last two years and will challenge Thacher for third place as a team. Making the longest trip of any school this weekend, Jordyn Harper (10th place a year ago) continues to be one of the best in the division. The Huskies should be a lock for their first state meet berth since 2004 as they were ninth a year ago. With some of the running elite of Mammoth visiting for their daily workouts, sophomore twins Emma and Lizzaetta Dardenne-Ankringa along with Rhona McChesney provide valuable support to Harper. The fight for those last three spots to the State Meet is wide open. Sierra Canyon, Pasadena Poly, Sage Hill, Chadwick and La Reina are in the mix. Freshman Isis Diaz took her success at the club level over to the Sierra Canyon squad and has them in contention for a state meet slot. Meanwhile, Pasadena Poly is led by Sophie Phinney and looking for the second trip in four years to the state meet. Twice in the last three seasons, Poly has finished in that dreadful eighth place slot. Sage Hill was third at the 2017 Finals and is seeking their fourth straight trip to the California State Meet. The Lightning was the Academy League runner-up and are led by Alice Warden. One of the most storied programs in Division V, Chadwick is looking for a trip back to Fresno. Only three points separated the Dolphins and Pasadena Poly at their league finals while Chadwick is led by freshman Ella Parsley. Finally, La Reina is looking to claim one of the seven invites to the state meet and if so, it would be their first time since 2013 (then, in Division IV). Freshman Kaitlyn Ray and Macy Rose Lee lead the all-underclass crew. Wildcards here are Sacred Heart of Jesus, led by Anarely Hernandez, St. Bonaventure, and the Mia Barnett-led Village Christian crew. Barnett is the defending champion and looked smooth as she accelerated over the second half of the course at last week's prelims. 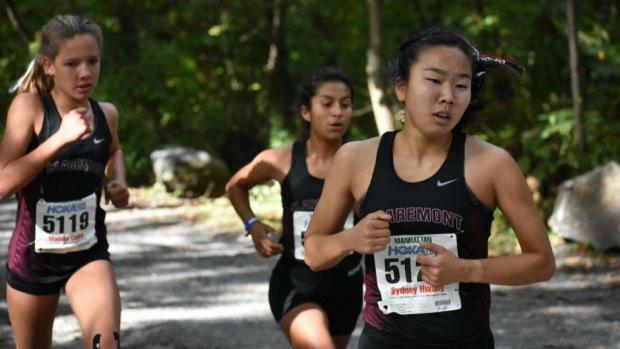 One of the most improved in the division, Elizabeth Radmilovich is a secure bet to finish in the top five and secure a spot to the state meet as an individual.